We are a private company which is located at Industry Park South Of City, Jingjiang Economic development zone, Jiangsu Province. It covers 60000 square meters land with 280 employees. This success filled a blank at that time in China. In 1997, we introduced complete tractor technology from Nissan auto co., LTD. The key components such as engine, transmission, steering system, brake system and electric system were imported with original packing. More than 4000 units 2-3 ton forklifts have been in use among over 50 domestic airport and airlines and over 30 overseas airports and airlines. We are in the number one seat of tractors in China for 6 years. Our company was built in 1958. We has been manufacturing the forklifts since 1973, has accumulated the experiences in producing forklifts more than 40 years. 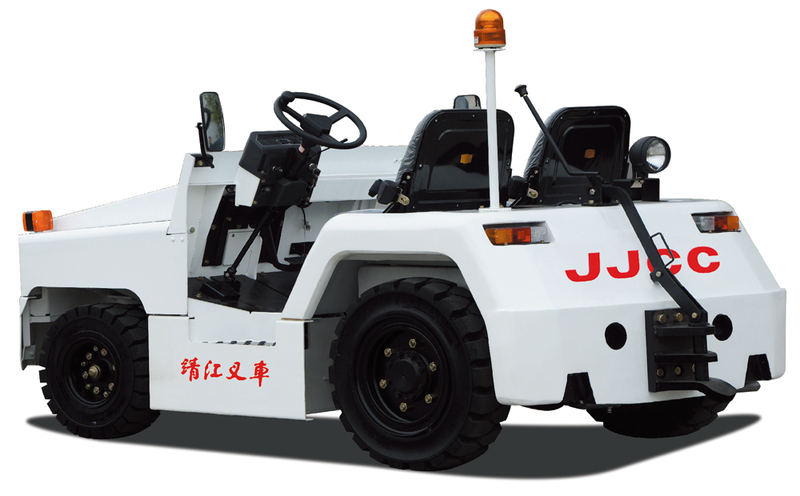 We researched and developed the first towing tractor used in airport in domestic in1982, which filled up the blank domain. In 1996，we introduced internatioal advanced technology and main KD parts from Nissan company for KM series towing tractor, got the certificate of Civil Aviation Airport equipment license. We passed authentication of the ISO 9001:2000 quality system and CE certificate awarded by TUV Rheinland Germany, obtained Import and Export Enterprise Qualification Certificate; 18 patents granted by State Intellectual Property Office; "JJCC" trademark in Jiangsu Province; QCD20-KM internal combustion tractor title of high-tech products in Jiangsu Province. It was named Jiangsu famous brand product in 2008, In 2010 it was identified as provincial-level technology center in Jiangsu Province. In 2016, 3T (wet brake) forklift, and QD type of pure electric tractor with a double brake, is identified as a new high-tech products in Jiangsu province. “Pursuit of excellence, satisfactory of customer” is our philosophy to establish the image of our enterprise and products. Our products are widely sold all over the country, like China Airlines, China Eastern Airlines, China Southern Airlines and other airlines, General Post Office and other over 30 airports and post office. Our products are exported to Europe, USA, Africa, Middle East, Russia, Australia, Southeast Asia, more than 60 countries and regions.